During the First World War the grounds at Clarence Park was turned into a military camp for soldiers who were ready to fight in France. The football activities were suspended. A few of the pre-war players perished during the four year conflict. 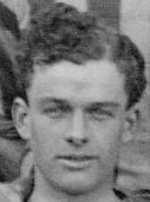 Players such as Arthur Wiggs of Lower Dagnall Street. Johnny Rainsden and Jack Hillier both died within a fortnight before the armistice. All of these names are on the War Memorial in St Peter’s Street. When normality resumed in the 1919-20 season the club decided to stay in the Spartan League. However, the first season after the war was a difficult one for the club. There were troubles in recuiting players and as a consequence the team finished in third place. Towards the end of the season the club applied to join the Athenian League. They were accepted. 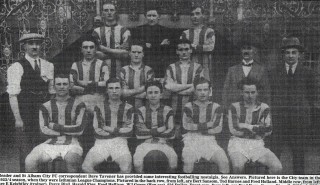 The 1920-21 season in the Athenian saw the club storm to the title. A few players joined from the Luton area, especially from the Luton Celtic club. Players such as Arthur Webdale, Harry Plester and Harry Ford from Luton Clarence. 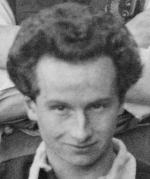 There were still players from the pre-war days such as George Meagher, Bertie Butcher and Phillip Pierce. One player who subsequently became legendary was Wilfred Minter. He had previously played for the Hatfield Road Old Boys club at centre forward. He began for the Citizens on January 22nd 1921 by making his debut in a friendly against Limehouse and although he did not score a goal. ”His play was so great it is thought that St Albans will give him an extended trial”. Wrote the Hertfordshire Mercury. He scored his first goal in his third game. Minter who played a key part in an amazing match just under two years later. City were lying in third place at the time of Minter’s debut. By the end of February Minter had scored ten goals in six matches and were top of the table by a point. By the end of the season City had won the Athenian League by three points. They were unbeaten in the last thirteen games, winning eleven and drawing two. Another player whose career began around this time was Harold Figg. 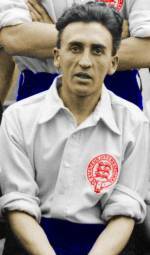 He was a half back, a modern day midfielder, Figg would go on to play for the Citizens from 1920 until 1934. He was captain of the team for the majority of that time. For the 1921-22 season City was inundated with applications to play for them. 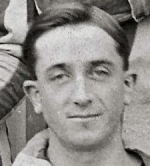 H E “Ted” Miller joined the club from Watford Corinthians along with brother Redvers. Another Miller although not related, H S “Harold” Miller, also joined at around this time. The basis of a very good team was now being formed. The regular team was Fred Hempsall in goal, the two full backs were William Field and Fred Holland, three half backs were Harold Figg, Percy Bird and George Meagher, and the five forwards were Phillip Pierce, Bertie Butcher, Wilfred Minter, Harold Miller and Redvers Miller. Add to this four or five capable reserves and there was a championship winning team. And this is exactly what City did in 1921-22. They had retained the Athenian League title. A few more players began their careers at this time. Harold Hankey was one of these. He went on to play for Millwall as an amateur. They had made so much money from their second Athenian League championship that they decided to enlarge the grandstand on the railway side of the ground. 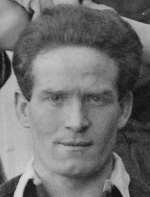 George Meagher decided to retire before the start of the 1922-23 season. (Although he came out of retirement in an emergency during the season). He had served the club since 1910 and had been captain since 1919. Ted and Harold Miller had signed Amateur forms for Watford but were still able to play for St Albans if Watford Reserves did not need them. It was only six games into the new season when the emergency call was made to George Meagher when Bertie Butcher was laid low with influenza. As a result of a long F A Cup run in the previous season City were exempted until the 4th Qualifing Round. City were drawn at home at Dulwich Hamlet. The score at Clarence Park on November 18th 1922 was a 1-1 draw. What happened in the replay on the 22nd remains the most amazing match ever played probably by any club let alone City. Both teams went into the match without their regular first team goalkeeper. Dulwich had to field their reserve goalkeeper because of an injury to their regular goalkeeper. St Albans fielded Alf Fearn, a reserve full back because Innes Tennant, their regular goalkeeper, got lost on his way to the ground. Dulwich scored after 15 minutes 1-0. City equalised after 18 minutes 1-1. City went ahead after tweny minutes 1-2. City 1-3 ahead after 23 minutes. Dulwich score after 32 minutes 2-3. Dulwich drew level after 39 minutes 3-3. Dulwich went ahead after 52 minutes 4-3. Dulwich further ahead 59 minutes 5-3. St Albans pull a goal back after 61 minutes 5-4. Four minutes later St Albans drew level 5-5 after 65 minutes. City in front again 5-6 after 70 minutes. Dulwich Hamlet drew level 6-6 after 82 minutes. Full Time 6-6. Half an hour of extra time was played. After ten minutes Dulwich went ahead 7-6. After 26 minutes, that is with four minutes to go City levelled again 7-7. And with the last kick of the game Dulwich Hamlet scored the winning goal 8-7. The most amazing thing was Wilfred Minter had scored all of St Albans’ goals. He remains the only player ever to score seven goals in the game of any type, league or cup, and STILL finish up on the losing side. This match is known among supporters as “The Famous Match”. Hello Paul. Please contact me. I run the St Albans City F.C. History and statistics website. We would love to hear from you! Harold Sydney Miller WAS related – another brother. He played for St Albans and then went on to play for Charlton Athletic and then Chelsea. I know this because Redvers Miller was my father.